This is a fairly short article on the divide between rural and urban voters and how it's getting unfair. 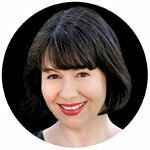 This is Michelle Goldberg's debut column. Since Donald Trump's cataclysmic election, the unthinkable has become ordinary. We've grown used to naked profiteering off the presidency, an administration that calls for the firing of private citizens for political dissent and nuclear diplomacy conducted via Twitter taunts. Here, in my debut as a New York Times columnist, I want to discuss a structural problem that both underlies and transcends our current political nightmare: We have entered a period of minority rule. I don't just mean the fact that Trump became president despite his decisive loss in the popular vote, though that shouldn't be forgotten. Worse, the majority of voters who disapprove of Trump have little power to force Congress to curb him. And because of the quirks of the 2018 Senate map, Democrats are extremely unlikely to reclaim that chamber, even if most voters would prefer Democratic control. Some analysts have even suggested that Republicans could emerge from 2018 with a filibuster-proof 60-seat majority. Our Constitution has always had a small-state bias, but the effects have become more pronounced as the population discrepancy between the smallest states and the largest states has grown. "Given contemporary demography, a little bit less than 50 percent of the country lives in 40 of the 50 states," Sanford Levinson, a constitutional law scholar at the University of Texas, told me. "Roughly half the country gets 80 percent of the votes in the Senate, and the other half of the country gets 20 percent." The distortion carries over to the Electoral College, where each state's number of electors is determined by the size of its congressional delegation. This would matter less if the United States weren't so geographically polarized. But America is now two countries, eyeing each other across a chasm of distrust and contempt. One is urban, diverse and outward-looking. This is the America that's growing. The other is white, provincial and culturally revanchist. This is the America that's in charge. Twice in the last 17 years, Republicans have lost the popular vote but won the presidency, and it could happen again. In July, Senator Sherrod Browntold The Washington Post, "It's not out of the question that in 2020, if nothing changes, Democrats could win the popular vote by five million and lose the Electoral College because of the Great Lakes states." He meant that as a warning to Democrats to pay attention to the Midwest. But it could just as easily be taken as a warning about the stability of our democracy. I recently had the chance to ask Gov. Jerry Brown of California what might happen if we have more elections like 2016, where a majority of voters and a supermajority of Californians are thwarted. Polls already show a third of Californians favor secession. Could that fringe movement become mainstream? Brown said it was "not beyond the realm of possibility" that the country could eventually break apart, even if he doesn't think it's likely. Conservatives are often unmoved by complaints that our system is undemocratic, arguing that America was intended not as a democracy but a republic. But if this was true at the founding, it's probably not how most Americans understand their country today, when "undemocratic" is considered a political epithet. Before Trump, there was enough overlap between popular will and electoral outcome to make the issue largely semantic. Now it's existential. Certainly, we need checks on the tyranny of the majority. But what we have now is the tyranny of the minority. Don Beyer, a Democratic representative from Virginia, has introduced the Fair Representation Act, which would change the way the House is elected, replacing single-member districts with larger districts represented by several people. They'd be chosen by a system of ranked voting that would allow third parties to compete without becoming spoilers, while giving political minorities a say in the process. The resulting delegations, Beyer told me, would be more likely to be proportional, creating space for Massachusetts Republicans as well as Oklahoma Democrats. Enactment of either of these plans, which would transform the ways we choose our leaders, is remote. But absent reform, our system could eventually face a legitimacy crisis. 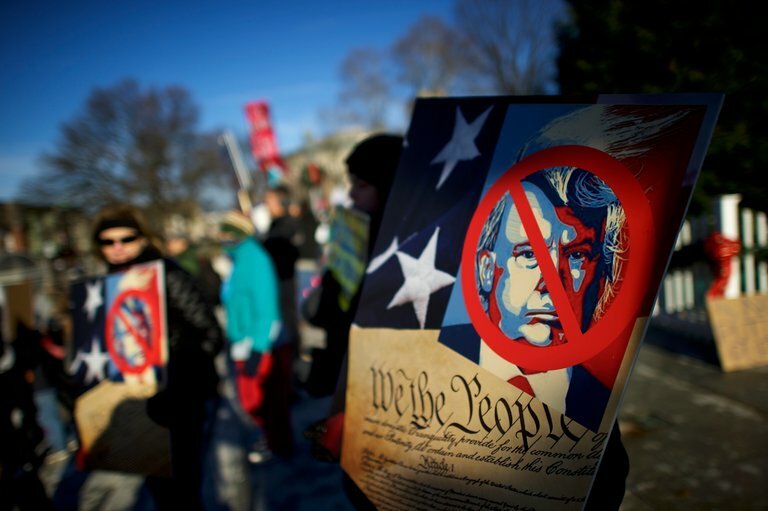 Levinson, perhaps the most prominent among progressive critics of the Constitution, argues that the crisis is already here: "At some point we need to discuss the extent to which the entire constitutional system is full of these anti-majoritarian aspects." Trump's election has revealed many dark truths about this country. One of them is: We're a lot less democratic than we might think.